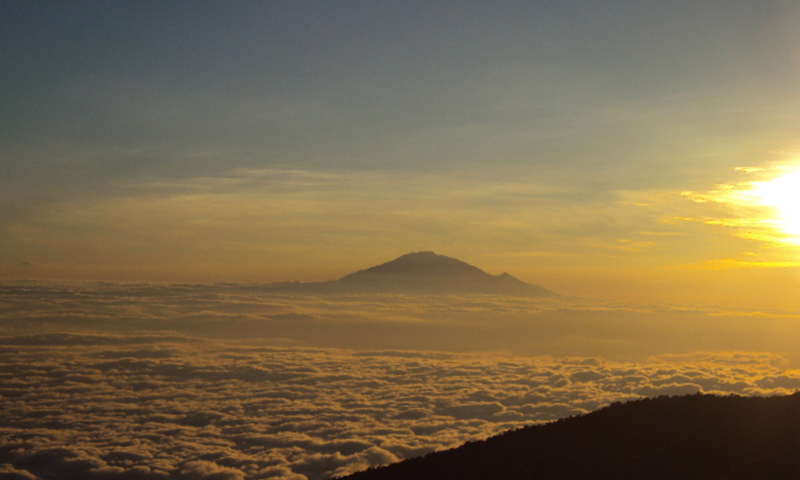 Climb Kilimanjaro, Africa's tallest peak via the Lemosho route. With stunning scenery including the Lava Tower and Barranco Wall; Lemosho offers guests an unforgettable experience! 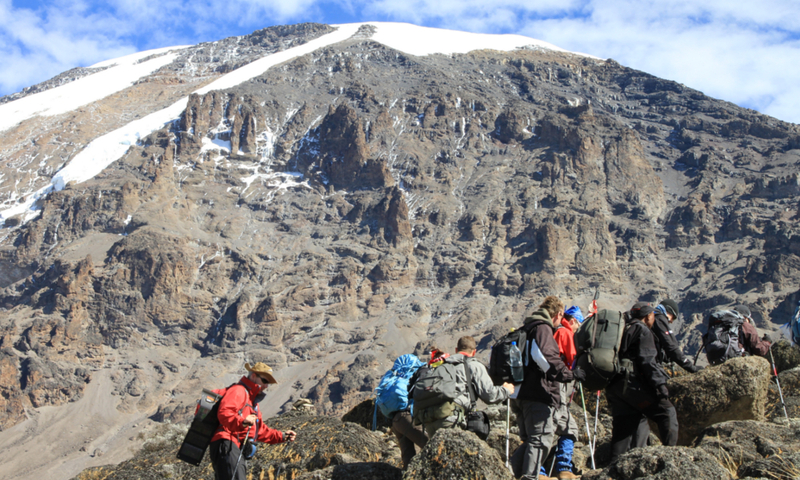 The Lemosho route spends 8 days on the mountain, one more day on the mountain than the Machame or Rongai itineraries. The route offers a gradual increase in elevation and allows guests more time to acclimatize to high altitude. It also includes fine hiking in all the ecological zones and affords great views. This is the route we used for our specialty trip with Kilimanjaro guide book author, Cameron Burns. Wildlife sightings in the forested section of the Lemosho route are more common than on the more popular Machame route. The Lemosho route is particularly interesting as it traverses a large portion of the southern side of Kilimanjaro. You’ll enjoy views from many different aspects as we start along Kilimanjaro’s Western region, trekking eastward to meet up with the Machame route. The Lemosho and Machame routes merge from the Shira Plateau onwards, however you’ll experience quieter camp spots during the first half of your trip and experience a broader vista as you traverse from the western region of Kilimanjaro en route to merge with Machame route. 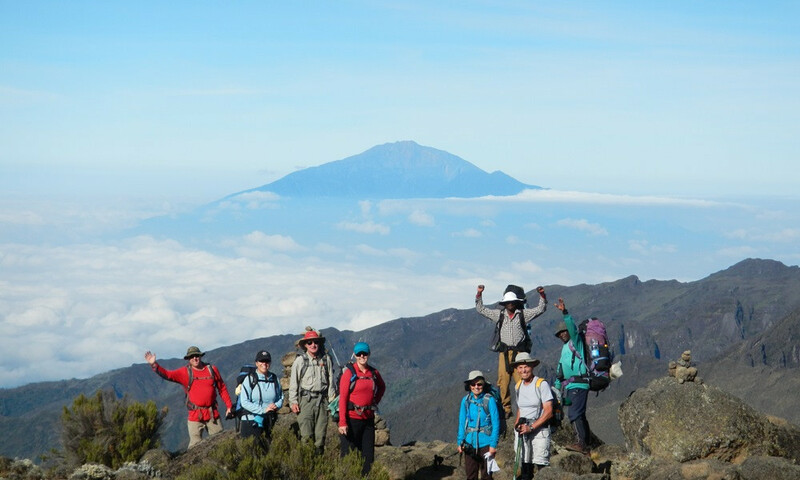 The Lemosho route is perfect for those who’d like to explore a few additional aspects of Kilimanjaro while enjoying share features with the Machame route such as the Lava Tower and Barranco Wall. 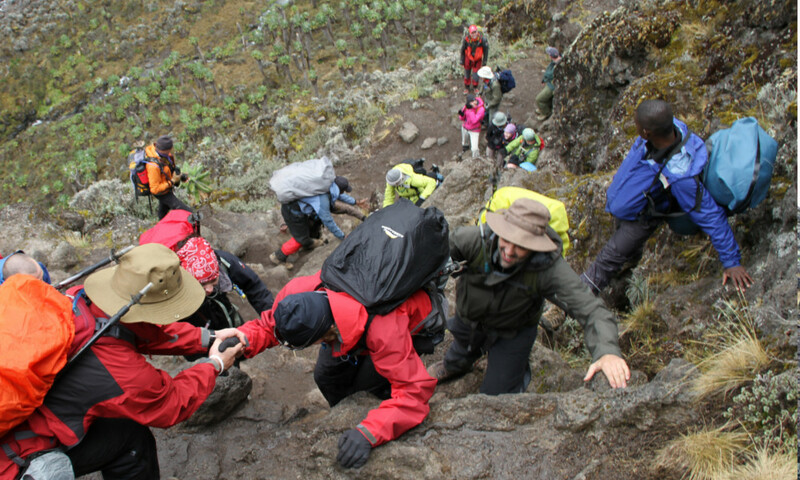 Many guests doing this as part of a family experience choose the Lemosho route, the extra day and relaxed pace is great for younger trekkers! MOSHI: Our trips begin in the city of Moshi, located just a short drive from the Lemosho gate and offering views of the mountain when not obscured by lenticular clouds. Guests often opt for our guided tours of Moshi, experiencing the vibrant marketplace, historic buildings, and the opportunity to pick up souvenirs from your trip to Tanzania. SPRINGLANDS HOTEL: Enjoy luxurious accommodations before and after your trip. The Springlands hotel features a swimming pool, bar, lounge area, and buffet style meals served three times a day (breakfast included with your stay). GETTING TO THE MOUNTAIN: Day 1 of our journey up Kilimanjaro features a short drive to the Lemosho Gate. After sorting out permitting and local support with the park rangers we’ll begin our trek to the first camp. CLIMATE ZONES: Kilimanjaro features 5 distinct climate zones. Our initial drive to the Machame Gate will take us through fertile plantations. We’ll start the trek in the rainforest before ascending to the heather or moorland zone. As we continue to gain elevation we’ll encounter Kilimanjaro’s highland desert, home to volcanic rock fields and unique vegetation. 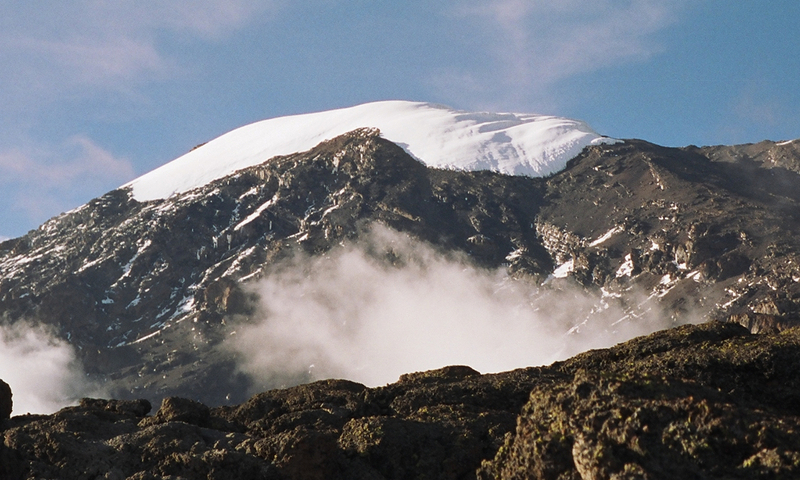 Finally we’ll ascend into the arctic or summit zone, home to Kilimanjaro’s famous glaciers. WILDLIFE: As we trek through the rainforested region of the Lemosho route, you’ll have the opportunity to see some of Kilimanjaro’s various wildlife. The Lemosho route is especially known for its White Colobus Monkey, a distinct tree dweller known to stick to the denser sections of forest. OUR GUIDES:Mountain Guides International guides are professionals.They are dedicated to insuring our guests an experience that exceeds their expectations! Every Kili trip that we lead draws on the experience of more than 20 years of guiding high altitude trips on Denali, Aconcagua, Kilimanjaro, The Volcanoes of Ecuador / Mexico, and high altitude peaks of the Himalayas. The Lemosho route is an 11 day itinerary, including travel and rest days in Moshi. TRAVEL: Depending on flight times and connections, travel to Moshi, Tanzania typically takes over 24 hours from the U.S. including a stop in Amsterdam or London. Please be sure your arrival in Tanzania coordinates with the first day of the program. This is the start date indicated for all trips. We’ll pick you up from Kilimanjaro International Airport, flights from Western countries typically arrive around 9:00pm local time. The drive from the airport to the Springlands hotel is about 45 minutes. We’ll get you settled in to your accommodations and outline you on Day 2. After a long travel day you’ll have the opportunity to rest and relax at the Springlands Resort. Your guide will coordinate a group meeting where we’ll cover introductions, answer questions about the trip, and ensure everyone has all the necessary gear. Guided tours of Moshi can be arranged by your guide through the Springlands staff, it is a great opportunity to see Moshi and pick up souvenirs. We’ll drive to Londorossi Park Gate (2250m, 2.5 hours from Springlands). Your guide will sort out permitting with the park rangers, and you’ll enjoy some down time and lunch at a nearby picnic area. After permits are organized and lunch is finished we’ll walk along forest trails to Mti Mkubwa (big tree) our first campsite. A gentle walk across the plateau leads to Shira 2 camp on moorland meadows by a stream. Today’s move is short and a variety of walks from Shira 2 camp are available on the plateau making this an excellent acclimatization day. From the Shira Plateau, we continue to the east, passing the junction towards the peak of Kibo. As we continue, our direction changes to the South East towards the Lava Tower, called the “Shark’s Tooth.” Shortly after the tower, we’ll continue down to Barranco Camp at an altitude of 3,860 meters. Although you end the day at about the same elevation as when you started, this is a very important day for acclimatization and will help everybody to be well prepared for summit day. Barranco camp offers views down towards Moshi and features a stunning landscape nestled up against the impressive Barranco Wall. Setting out from camp in the morning, we’ll quickly begin to ascend the Barranco Wall a steep trail leads up to the Karanga Valley (4200m) campsite. We’ll have a few scenic rest stops along the way, on a clear day this portion of the trek offers amazing views of nearby Mt. Meru. Leaving the Karanga Valley, we’ll pass the junction which connects with the Mweka Trail. 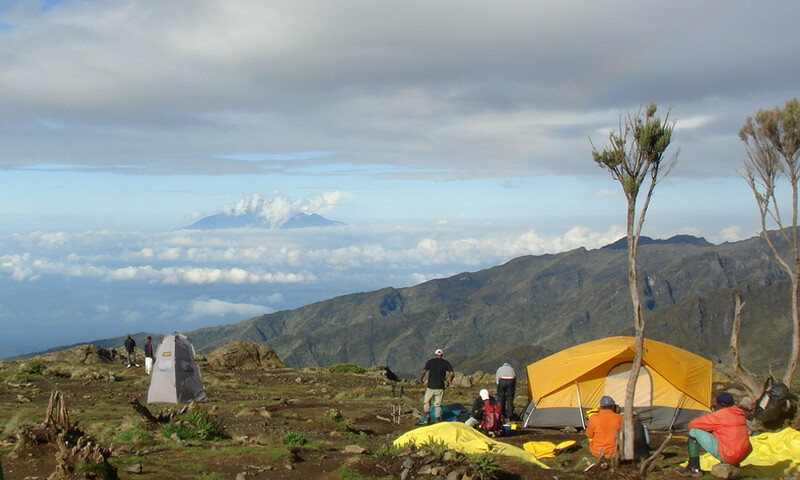 We continue to Barafu Camp, which is located at an altitude of 4,600 meters. You have now completed the South Circuit, which offers views of the summit from many different angles. Here we make camp, rest, enjoy dinner, and prepare for the summit day! The two peaks of Mawenzi and Kibo can be seen from Barafu. It will take 6 or 7 hours to reach the crater rim. Sunrise on the Crater is going to be something to remember forever. The sun rising over the plains of Africa and diffuse light highlighting the nearby glaciers is truly a world class experience. After a short break, we will continue along the rim for another hour before reaching the highest point in Africa, (19,340 ft). Congratulations! We will spend up to a half hour on the summit and then begin the descent to Barafu. At camp we will rest for a few hours and then start the walk down to our final camp on Kilimanjaro! In the morning we’ll depart camp for the park gates. We’ll meet up with our ride back to town and sign out with the park rangers, receiving summit certificates to commemorate your achievement in reaching the summit! Back at the Springlands Resort you’ll get settled in, enjoy a refreshing shower and a well deserved beverage. We’ll arrange your transfer from Springlands to the airport or out onto your safari. For a PDF version of this itinerary click this link. MGI provides professional American guides. All guides are medically trained and experienced at high altitude. The guides know how to foster a fun trip while making safety a top priority. In addition to American guides, we hire local guides, cooks, and porters to help support our trips. We work closely with our trusted local partner to ensure a high quality trip. What is the weather like in Moshi? What about on Kilimanjaro? Moshi is a tropical climate, with rainfall amounts varying from summer (wetter) to winter (drier). The average temperature in Moshi is around 74 degrees Fahrenheit. The Lemosho and Machame routes are on the wetter side of Kilimanjaro and thus receive greater annual precipitation than the Rongai route. How much weight will I carry? Local porters will carry most of our equipment throughout the climb. You can expect to carry daypacks with warm layers, rain gear, water, and snacks. The meals are healthy and hearty. Breakfast and dinner are served hot in our dining tents, some lunches are also hot, some. We provide plenty of fresh fruit and vegetables and can accommodate special diets if you give us notice. Coffee, tea and cocoa are served at breakfast and dinner. A typical breakfast might include hot oatmeal with a side of fruit. Lunches could vary from sandwiches and snacks to warm soup and some bread. Pasta and rice dishes are common at dinner time along with poultry and some delicious dessert options. What will camping be like? We use stout 4 season tents for sleeping arrangements. The tents are either 2 person or 3 person tents and quite spacious with a vestibule to secure your gear under cover. All trips feature a dining tent complete with table and chairs for added comfort. We provide a private bathroom tent so you don’t have to use the public toilets on the mountain! What if I am travelling solo? Solo travelers will have their own accommodations at the hotel and a tent to themselves. We do not charge extra for singles. How should I prepare for the climb? We recommend a regular routine incorporating running, hiking, biking, swimming, or other aerobic activities. If you have any questions or would like help planning a training routine don’t hesitate to contact us! Yes! We have sleeping bags, down jackets, packs, trekking poles, and duffel bags available to rent. This is just a short list of the most commonly asked questions. Please visit our complete FAQ guide by clicking the link here to see additional FAQs. Land Waiver – One required per participant over the age of 18. Travel Info – Helpful information on how to get to/from Tanzania. Moshi – includes hotel stay, airport/town transfers, and welcome dinner. Expedition food – all food while climbing Kilimanjaro. Visa – You’ll need a tourist visa for your time in Tanzania. We recommend acquiring this in advance. Optional Safari – All Kilimanjaro treks can be combined with a safari package, contact us for further details! Place a $500 deposit to reserve your spot: this can be place over the phone by credit card, check in the mail, or through our payment gateway.